Charter Hall remains optimistic about the long-term prospects for Brisbane’s office market, diversifying its portfolio during the past 12 months to encompass CBD and CBD-fringe office buildings. Charter Hall owns and manages eight other Brisbane office buildings worth about $1.4 billion and home to more than 100 tenants across 205,000sqm. These include 175 Eagle Street, 275 George Street, 300 Adelaide Street, Brisbane Square, Northbank Plaza and Anzac Square. Charter Hall's latest $175 million project, 100 Skyring, is currently under construction at Gasworks, Newstead. Charter Hall Regional Asset Manager Belinda Kalinin said in the current environment, those offices that could deliver large, open floor spaces in locations offering work and lifestyle advantages would be the first to be leased. “100 Skyring is our landmark project outside the Brisbane CBD and it is recognition that businesses are seeking quality premises with the growing amenity of a fringe location,” she said. “Newstead in particular is emerging as the dominant CBD fringe location because of its retail, dining and entertainment precincts, transport links and state-of-the-art building designs. “Although Brisbane’s near-city office vacancy levels are approximately 14.3% the vast majority of this stems from older, secondary assets, evidenced by prime grade vacancy currently at 6%. BOQ will occupy 54% of the building, joining the other major organisations, such as Energex, Leighton Contractors, Virgin Airlines and AECOM, that have chosen to base themselves in this area. 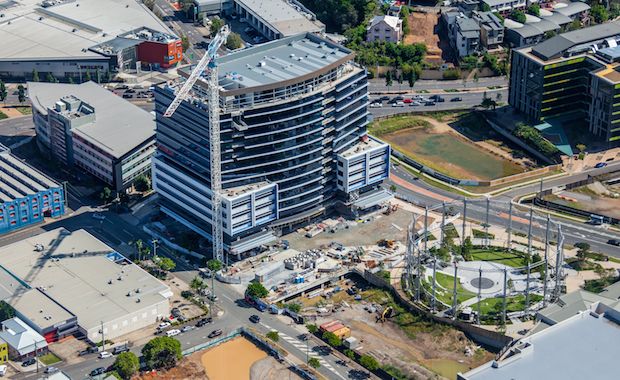 The Gasworks precinct itself has also attracted the Tatts Group, which is in the design phase of its new national headquarters of circa 21,000sqm. Ms Kalinin said Brisbane office leasing demand was likely to remain tempered in the short term as businesses continued to focus on cost control. “However with Queensland showing 2.67% employment growth in the year to March 2014, the strongest of the major states and more than double the national average, demand could surprise on the upside,” she said. “Office leasing in Brisbane looks likely to remain competitive up to 2016 as new supply is added, but there is also a significant level of secondary stock mooted for withdrawal and conversion. With few new major office buildings planned for the fringe in the short term, there will only be a limited amount of options available in these areas. The group is one of Brisbane’s largest office landlords after the Queensland Government.